Cook brown rice noodles according to package directions. Meanwhile combine pesto sauce, almond milk and lemon zest according to taste. 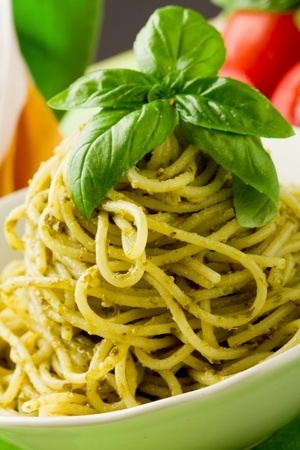 Drain noodles and toss with pesto sauce.